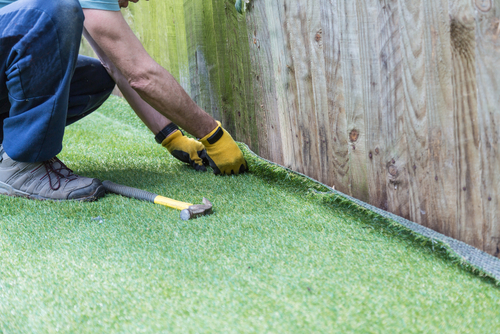 Laying and installing your own artificial grass is a great way to save money if you’re on a tight budget! 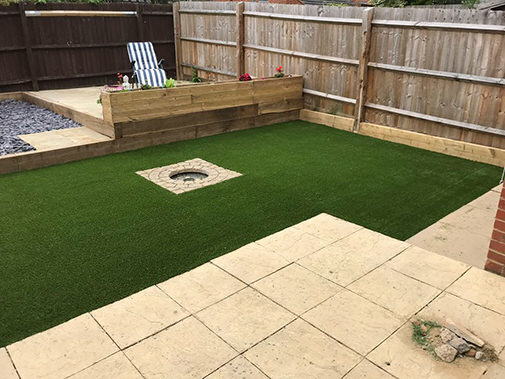 Artificial grass makes a great alternative for a real lawn and requires none of the maintenance! Forget weeding, mowing and watering and just sit back and enjoy the fruits of your hard work! Remove any existing turf. 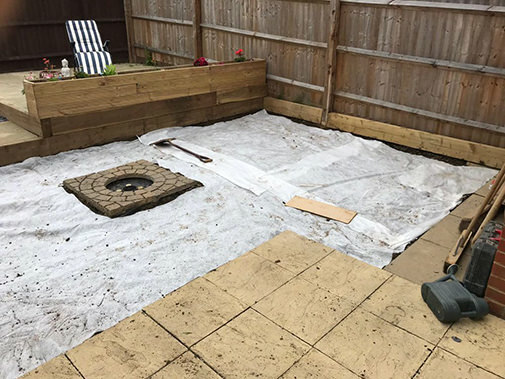 If the area you are looking to cover is relatively small, then you can do this with a spade. 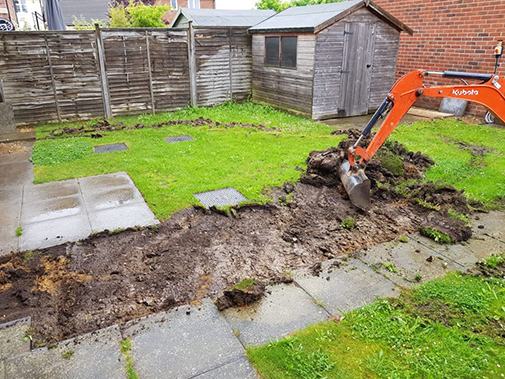 If you are covering your entire back or front garden, you may want to hire a turf cutter to speed the job up and save on effort! Ideally you should dig down to about 40mm. 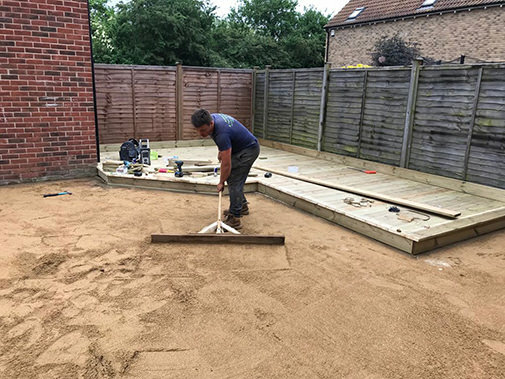 Apply a base layer – Spread out a layer of sharp builder’s sand to a depth of 35mm as a base to the artificial turf. You need to compact and level the sand to make an even surface for laying the grass. 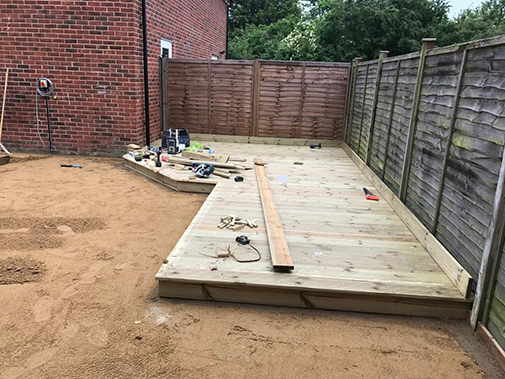 Builders planks and a heavy hammer are great tools for levelling off. Don’t get too caught up in making a perfectly level surface, you can leave gentle mounds and slight slopes. Weed prevention! Roll out a weed membrane across the sand ensuring the joints overlap by 300mm. 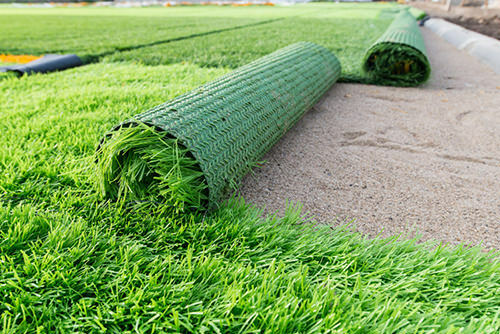 Roll out your new grass! When you lay the grass out, ensure the ends of the rolls are staggered and don’t end in a straight line. When you unroll your grass you’ll notice that the grass has a slight angle to it, lay the grass with the pile leaning towards the house. This helps to give the grass a fuller and more natural look when looking at it from the house. It’s important to make sure the grass rolls are laid in the same direction and that the blades of grass all point the same way. Lay the rolls directly next to each other with no blades caught in-between. After you have rolled out all of the artificial grass, you need to fix the rolls together. You can do this by using jointing tape – make sure it is rough side up – and place it along where the rolls would join. Add adhesive to the tape and place the edges onto the tape, making sure no blades touch the glue. Hide the joints. Once two rolls are joint together, ruffle the grass along the joint to blend them together and disguise the seal. Secure the edges of the grass using ground pins every 20 cms ruffling the grass over the pins to hide them. Give the grass a good brush with a stiff broom to raise the pile and give it a full natural look. Take a look over at our shop to see some of our grass range available to you!